CSU at Gonzaga is one of the eight (8) campuses of the Cagayan State University situated in the northeastern part of Cagayan at Flourishing, Gonzaga, Cagayan. It lies at the foot of Mt. Tabungao in a 30.8- hectare land area, which was donated by civic-spirited citizens of the town. 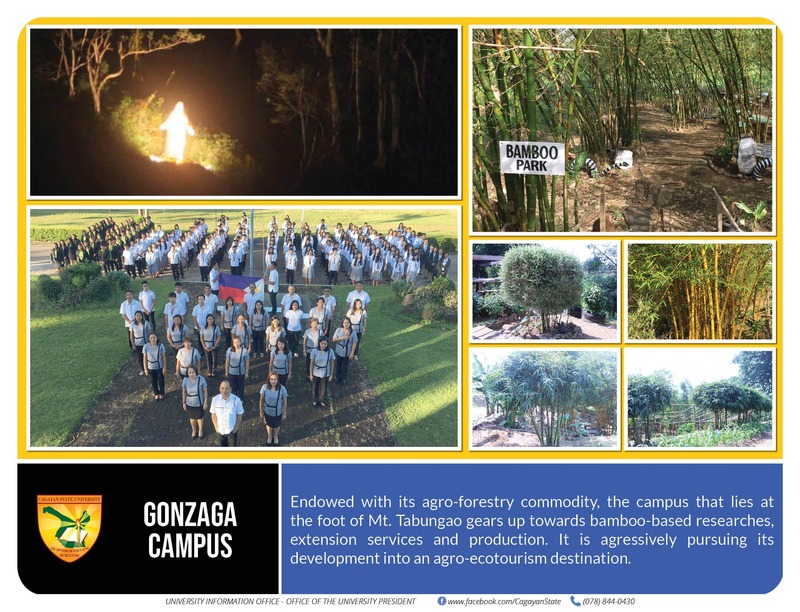 The campus maintains a 2,000-hectare mountain reserve at Calayan, Gonzaga, Cagayan and a 504-hectare mountain reserve at Cadubsangan, Sta. Clara, Cagayan. The school was then the first secondary school in the municipality. It was opened in the school year 1947-1948 and was named Gonzaga Junior High School. In 1953, the name of the school was changed to Gonzaga High School. Cognizant of the great need for agricultural education, in 1960 the curriculum was converted into Secondary Agriculture Curriculum for Boys and the Secondary Agricultural Homemaking for Girls. In 1962, the name of the school was converted to Gonzaga National Rural High School and then Gonzaga National and Vocational School. In 1975, the school started offering a two-year Post-Secondary Associate in Agricultural Technology (AAT) and two-year Agricultural Technician Curriculum (ATC). With this, the name of the school was changed to Gonzaga National Agricultural and Technological School. On June 11, 1978 President Ferdinand E. Marcos through the representation of Defense Minister Juan Ponce Enrile signed the Presidential Decree transferring the college level to the Cagayan State University. 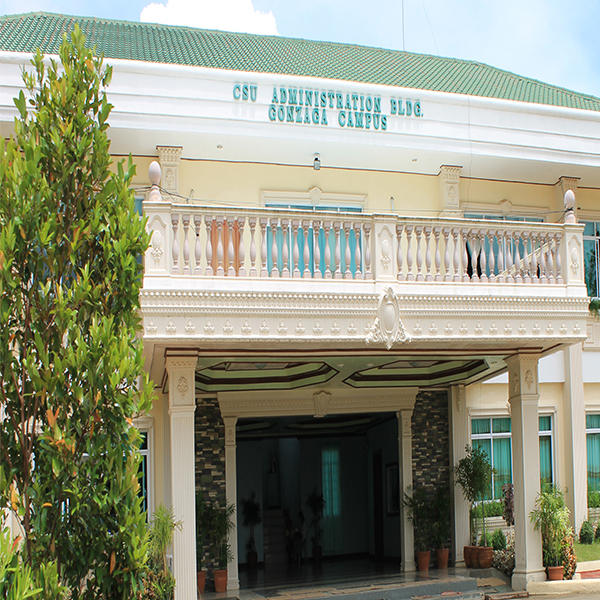 The College of Agriculture is the pioneer college in the Cagayan State University at Gonzaga. In the school year 1975-1976, the school started offering a two-year Post-Secondary Associate in Agricultural Technology (AAT) major in Agronomy and two-year Agricultural Technician Curriculum (ATC) with Mr. Ernesto Concepcion designated as the Chairman. Considering the need of Cagayan Valley for agriculturists and agriculture teachers, Bachelor of Science in Agriculture (BSA) major in Agronomy and Bachelor of Science in Agricultural Education were offered in 1978. Due to the growing need for agriculturists, Crop Science and Animal Science were offered as additional majors in Agriculture and Agricultural Education; then in 1997, Agroforestry was added as a major. At present, the college maintains two major areas: Animal Science and Crop Science with Mrs. Claribel A. Gaspar as the Associate Dean. The College of Teacher Education has its origin from the College of Agriculture. It first started as Bachelor of Science in Agricultural Education (BSAEd). To be abreast with the thrust of the government, the College of Education was separated as a college. With Dr. Wilhelmina B. Manzano as the Program Chair, the college offered Bachelor of Secondary Education (BSE) major in Social Science in 1989. Then in 1993, Bachelor of Elementary Education (BEED) major in Social Science and HELE was opened and in 1997, English and Filipino majors were offered. But because of low number of enrollees, Social Science major and HELE were phased out. Later in 2012, the College of Education was renamed College of Teacher Education through Dr. Panfilo Canay, the Dean of the College of Education (now College of Teacher Education) in CSU-Andrews. At present, the College of Teacher Education offers Bachelor in Elementary Education and Bachelor in Secondary Education Major in English and Filipino. The High School Department is under the College of Education as its Laboratory school. Dr. Susan B. Bucaneg now heads the College of Teacher Education as the College Dean and Mr. Romar Banadero in the Laboratory High School as the Head Master. To cater to the demands of time and the needs of the secondary graduates in the service area of CSU Gonzaga, the College of Arts and Sciences was opened in the school year 1980-1981. The courses offered were Bachelor of Arts in Economics (AB Eco), Bachelor of Arts in Mathematics (AB Math) and Bachelor of Arts in Biology (AB Biology). Dr. Dominador Raquel was designated as the Program Chair. Later in the school year 1985-1986, AB Math was transformed into Bachelor of Science in Math (BS Math) and AB Biology into Bachelor of Science in Biology. To be at par with the courses offered in the cities, additional courses such as Bachelor of Business Management (BBM) major in Hotel and Restaurant Management, and Bachelor of Science in Information Technology (BSIT) were offered in 1998. After a year, BBM- HRM was transformed into Bachelor of Science in Hotel and Restaurant Management (BSHRM) and Bachelor of Science in Entrepreneurship (BSEntrep) was also opened. In 2012, the Bachelor of Arts in Economics joined in the College of Business Entrepreneurship and Accountancy (CBEA). Because of this, the College of Arts and Sciences was renamed into College of Hospitality Industry Management (CHIM). Now, the college has Bachelor of Science in Hospitality Industry Management (BSHIM) as its sole course. The other courses BS Math and BS Biology were transferred to CSU Tuguegarao due to low enrollment. Mrs. May Ngelica A. Sinco stands as the College Dean of the College. The College of Information Technology traces its origin from the College of Arts and Sciences. Through the demands of technology, the CSU-Gonzaga Administration through the assistance of the Parents and Teachers Association (PTA) by donating computers to be used in the laboratory courses, Bachelor of Science in Information Technology (BSIT) was first offered during the school year 1998-1999 with Mr. Calixto B. Alicay as the Program Coordinator. Due to growing number of enrollees in the course, it was separated as a college in August 7, 2005 with Mrs. Laurine A. Balatico as the first Dean of the College followed by Engr. 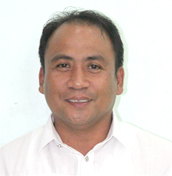 Richard R. Ayuyang from June 2014 to May 2018. At present, the College offers Bachelor of Science in Information Technology with Engr. Elmarie Rufina A. Suetos as the designated College Dean of the College. The College of Business Administration was opened in 2005 as an answer to the pursuit of the university to expand the curricular offerings and to be competitive with the other universities in the city. Through the leadership of its pioneer College Dean, Mrs. Charisma V. Paraiso, the college offered Bachelor of Science in Business Administration (BSBA) major in Management Accounting. Later, the college was named College of Business Entrepreneurship and Accountancy with Mrs. Avelina M. Ayuyang as the Dean. At present, the college offers Bachelor of Science in Business Administration (BSBA) major in Management Accounting, and Bachelor of Science in Accounting Technology which is in its pioneer year. Dr. Jay F. Omotoy is the present College Dean of the College. To keep abreast with the trend in course offerings in colleges and universities in the region, CSU Gonzaga opened the College of Police Administration during the school year 2006-2007 offering the course Bachelor of Science in Police Administration (BSPA) with Mrs. Claribel A. Gaspar as the Dean. To make the course more responsive to the needs of the job market, the BSPA was changed into Bachelor of Science in Criminology (BSCrim). The College was renamed College of Criminal Justice Administration in the school year 2010-2011. At present, the College offers Bachelor of Science in Criminology and Bachelor of Science in Police Administration with Dr. Reynold B. Pattaui as the College Dean. Realizing the demand for competent nurses here and abroad, the College of Nursing was opened in the school year 2009-2010 with the vision of making the course affordable but with high quality to the less privileged students. However, due to diminishing number of enrollees, there had been a gradual phase down of the College of Nursing in academic year 2013-2014. At present, the College of Teacher Education holds the biggest number of students and enrollees. The following is the list of succession of Administrators since it became part of the University system: Mr. Ladislao C. Querubin, Ms. Maria L. Gamiao, Mr. Eugenio A. Tolentino, Dr. Pedro R. Tugade, Dr. Jose A. Cardenas, Dr. Perfecto V. Vivit, Dr. Ferdinand C. Oli, and Dr. Florante Victor M. Balatico. Dr. Oli was re installed as CEO in the last quarter of 2016. CSU at Gonzaga continues to perform its four-fold functions of Instruction, Extension, Research, and Production. Since its birth in 1947, the school is actively participating in nation-building and a leader in countryside development. Dr. Froilan A. Pacris Jr.